Who said Disney was just for kids? With movies like The Lion King and Frozen watched repeatedly by kids and their parents, it’s no surprise that the older generation has not also lost their fascination for Disney-related things. Mickey Mouse isn’t the only character, who generates profit for Disney. There was a time when he competed with Oswald the Lucky Rabbit, a lesser known character, for becoming the face of Disney. During the early days of Disney, Oswald was the star. But, the company eventually lost the rights to him, which led to the creation of Mickey Mouse. As Mickey became more popular, the rabbit slowly faded into the realms of Disney and became among their forgotten characters. In 2010, the video game, Epic Monkey was revived. And the original Disney mascot was seen again by the public. The following year, a film reel entitled, Hungry Hobo’s featuring Oswald and Peg Leg Pete was found in the archives. The hidden treasure from Disney’s past was then sold for $31,250. Inspired by the Magic Kingdom trademark of Walt Disney World, this Cinderella Castle is handcrafted by Arribas Brothers. This royal treasure is made with hand-enameled metal and embellished with a total of 28,255 Swarovski crystals. Although this limited edition collectible is created especially for Walt Disney World Resort, only 50 models have been created for retail purposes. In the early 1930s, there were Minnie and Mickey Mouse Dolls created as promotional items for the much-admired Charlotte Clark line of dolls. However, this 48” tall Minnie and 44” tall Mickey have broken records. These giant model dolls were sold at an auction to a private collector for the price of $151,534.35. 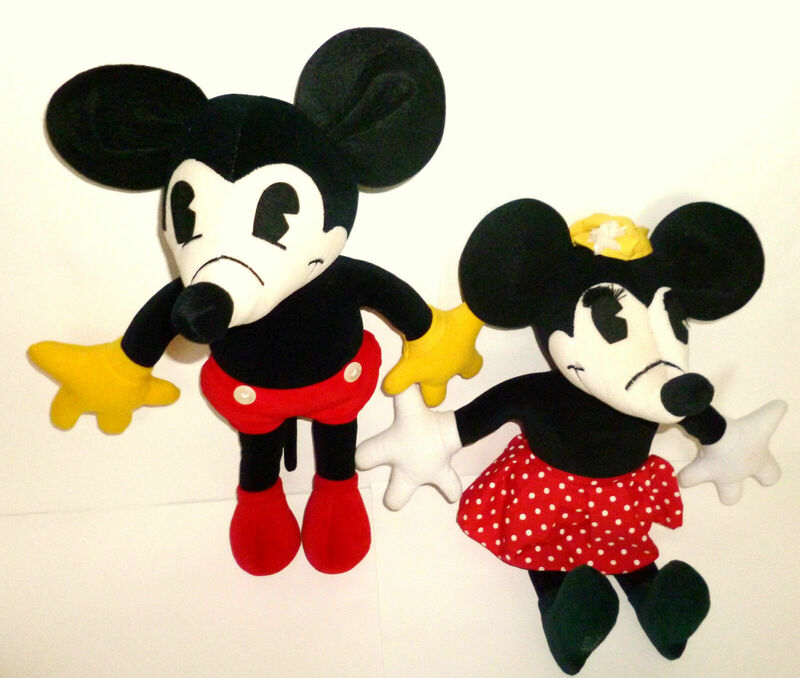 While both were made out of Clark’s trademark material, stuffed velveteen, Mickey has four two-inch-diameter pearl buttons and Minnie comes with lace-trimmed pants. The wealth that Scrooge McDuck seems to have acquired in this painting called, “Hands Off My Playthings”, is quite bigger compared to its actual worth. Nevertheless, this collectible is delicately detailed that looks as real as possible. Carl Banks painted “Hands Off My Playthings”. He was a famous Disney artist, who worked on several Donald Duck comics. He also created the character Scrooge McDuck. The Band Concert film Celluloid is considered one of the most expensive Disney memorabilia to have been sold. 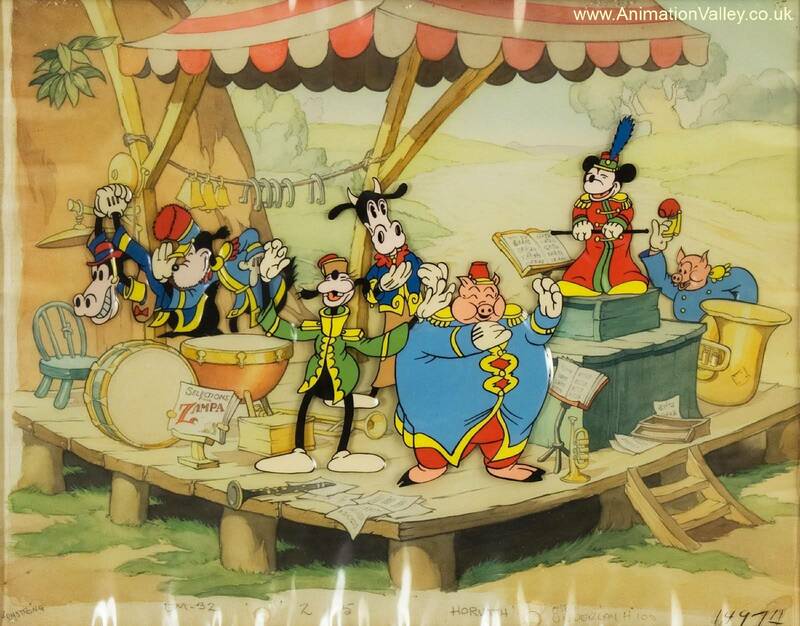 The original cel was sold in a private sale in 1999, for a price of $420,000. A celluloid, or a cel, is a transparent sheet, where objects are painted or drawn for animation. First released in 1935, The Band Concert is known as the first colored Mickey Mouse cartoon. It follows the story of Mickey as he attempts to lead a band in a rendition of the William Tell Overture. Despite all the distractions, such as a violent story, annoying bees, and wrong tunes, the band continues to play. The Disney memorabilia above have been identified as sought-after pieces of fine arts, as well as valuable items. But, the question is, do they really make a good investment? Whatever reasons collectors may have for keeping them, it is apparent that they value the ownership of this type of items.